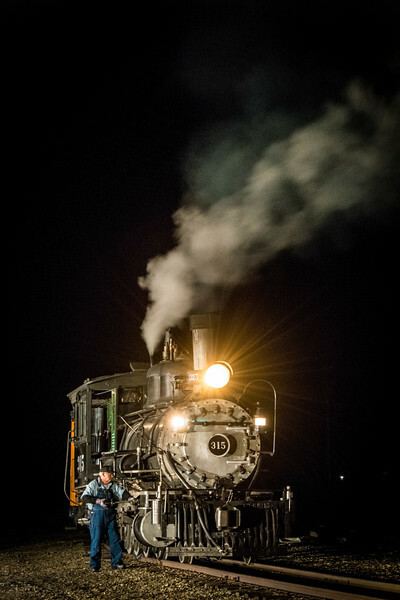 The engine was built in July 1895 by Baldwin Locomotive Works of Philadelphia, PA. After 6 years and thousands of hours of volunteer labor, on August 24, 2007 the 315 rolled under its own power – first time in 58 years! View photos from an excursion 08/18/16. *For a limited time, use code TrainLover20 to receive a 20% discount off any image in any train gallery!